From installation, maintenance and repairs, for small businesses and home customers, to providing you with the latest computer equipment, Lesley and David are experts in keeping you connected. Like it or not, we live in a world where you are expected to own at least one computer. You probably have other electronic devices such as tablets or smart phones helping connect you to the internet. We have the skills and knowledge to look after all your computer needs. Many of our customers do their supermarket shopping online, provide their gas and electricity readings, connect to social networking sites such as Facebook or help their children with homework provided through an online school portal in addition to using e-mail and perhaps other programmes such as Microsoft Office or Family Tree Maker. What we all have in common is the sheer frustration when the computer does not work correctly. The long delays, those irritating error messages and worst of all, the sudden crash which loses everything you have been working on for the past two hours. Desktops built in our own workshop to your specification. Laptops supplied. Prices very competitive with all main retailers. 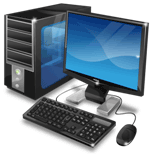 At PC Help we specialise in providing websites for small businesses or organisations. Working closely with you we build a site to match your needs. Our aim is to complete each job however large or small to our highest standards. Read what some of our customers say about us. Cracked screens and hinges replaced on laptops. Information recovered from faulty drives. Hard drives upgraded to solid state. 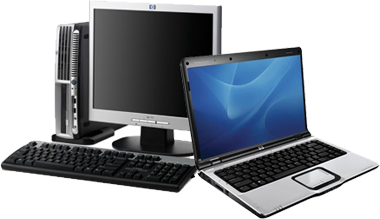 At PC Help we provide other services including wi-fi troubleshooting, home tuition and transfer of home videos to DVD amongst others. Don't delay, contact David or Lesley by phone or e-mail for help. No job considered too small. Remember no fix, no fee!